Today is a special day for me and my wife. On this very day eight years ago, our eldest son Thukten Subba came into our family. 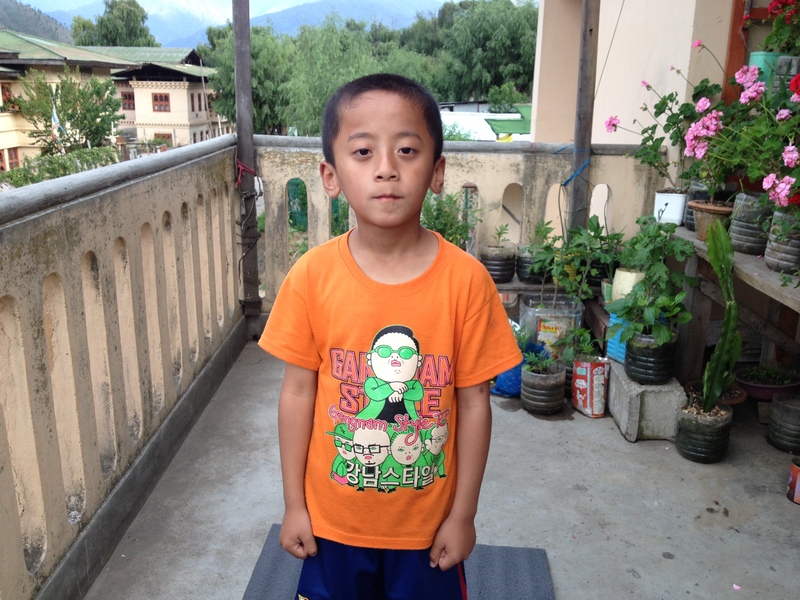 It was on Friday, 16th June 2006 when he was born through Caesarian birth at JDW National Referral Hospital in Thimphu. It was a moment of joy and excitement for both of us. We were extremely happy to welcome him to a new home, to a new world. Today is his 8th birthday and he is very excited about it. As usual, we have bought him sweets which he is very happy to share with his siblings and friends in the neighbourhood. Actually he had wanted to take some to school too, but since today happened to be a holiday due to Indian Prime Minister’s visit, he had to celebrate with his friends in the neighbourhood only. His sister has made a special drawing for him which she gave him early in the morning. My wife also gifted him a nice, cute cup which he is very happy to have. He is still expecting some gifts from his uncle and aunt and has kept some sweets for them too. He has now turned 9, which means that he has completed eight years of his playful and innocent childhood. We can’t believe how fast time has flown by. We are happy that so far, he is doing good and we wish him to do the same, if not better. It is a day of jubilation for us, the parents, that we have completed eight years of our sacred duty of parenting. We would like to heartily wish him a very very happy birthday. Quite unbelievable that Thukten is now already eight plus. But most importantly, it's the 8th year of your parenting. So happy for you all. Keep writing la and inspiring people around. You are right. Thanks for the comment. Very sorry i did't know u should have inform me.